A versatile, high-quality cutter made of high-grade steel for use on wood, plastic and soft metals. 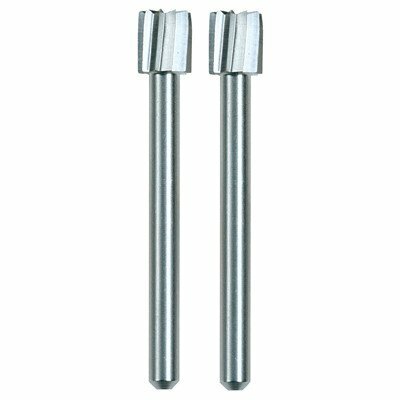 Ideal for shaping, hollowing, grooving, slotting, inlaying, and making tapered holes. For use in soft metals, plastics and woods especially on curved surfaces. Use the sides of the cutter (Rather than the tip) for effective cutting. Use higher speeds for hard woods, slower speeds for metals. User Tips: For best results, insert the accessory bit all the way into the tool and then back it out slightly before tightening down. 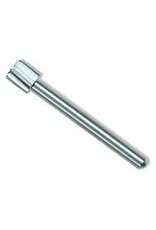 This provides plenty of shank for the collet or chuck to hold onto the bit. Secure objects to a stable surface while working. Use the sides of the cutter (rather than the tip) for effective cutting. 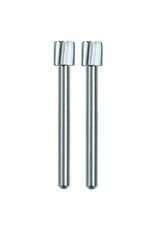 The tip cuts poorly and can break under pressure. Use higher speeds for hard woods, slower speeds for metals and very slow speeds for plastics (to avoid melting at the point of contact). If chattering occurs, increase speed. * bit diameter inch: 7/32in. 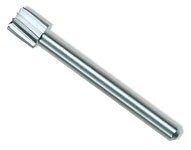 (5.6 mm) * shank diameter: 1/8in. (3.2 mm).